Last Monday marked the fifth annual Social Media Day, an internationally recognized day to celebrate the ways in which social media has changed our lives for the better. 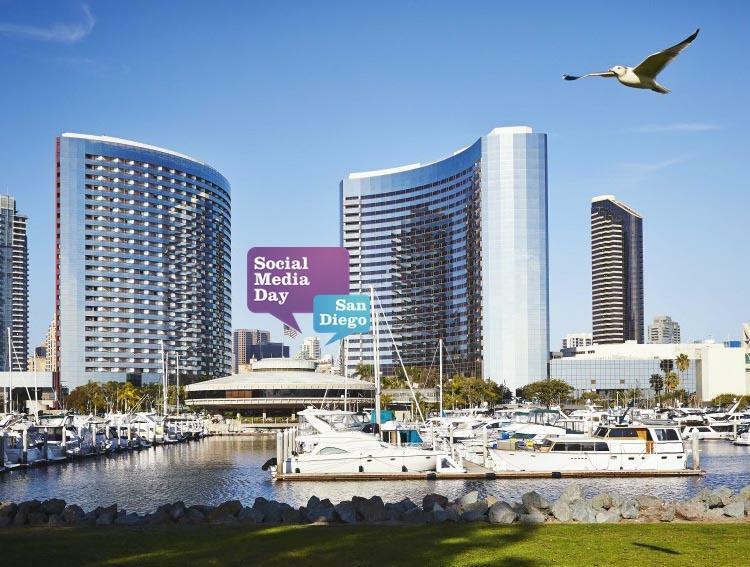 Social Media Day San Diego has become one of the leading Social Media Days around the world, and the Cuker team was thrilled to participate in such a fantastic event. Over 1,000 social media enthusiasts gathered downtown at the Marriott Marquis & Marina for a speaker series packed with key influencers covering topics including Facebook, Instagram, LinkedIn, Google+, and more. As usual, Facebook guru Mari Smith did not disappoint as she took the stage. This quote sums it up well: content is extremely important, but it needs to provoke some sort of social action or engagement to become truly valuable. Vine celebrity Zach King explained the importance of serving a specific audience, not everyone. Find your audience: What is your niche? What does your audience do? Where do they spend time? Why do they watch? The ultimate thing you can do for your audience is to serve them! Visual Marketing is the buzzword of 2014. Move over content marketing, the buzzword of the year is visual marketing. Facebook, Twitter and LinkedIn have all seen visual layout improvements this year. Instagram is not only a visual platform, but allows for the creation of powerful visual content, which can also be shared on other platforms. Podcast experts Michael Steizner, John Lee Dumas and Tyler Anderson explained this new media as an intimate way to get into the ears and minds of people. One tip was to create your avatar, that one perfect listener, and use your avatar to guide your business decisions. On Instagram, it’s important to use hashtags effectively. Jenn Herman’s tips include: Use relevant hashtags, use industry related hashtags, combine popular and less common hashtags, and use between 5-10 hashtags per post. One final tip was, “don’t hashjack,” or don’t use trending hashtags that have nothing to do with your post. As Martin Shervington began his Google+ keynote, he caught everyone’s attention when he said, “Google+ is part of the Google ecosystem.” He referred to it as a social layer of Google, not just another social platform. The Google+ community will help you achieve search results since Google ranks websites based on trust, reputation and authority. Ultimately, we learned that Google+ is here to stay. While Twitter wasn’t a topic specifically covered, it didn’t stop the live tweets as #SMDaySD was trending #1 on Twitter in San Diego, and we wouldn’t have expected anything less. Published on July 7, 2014 .